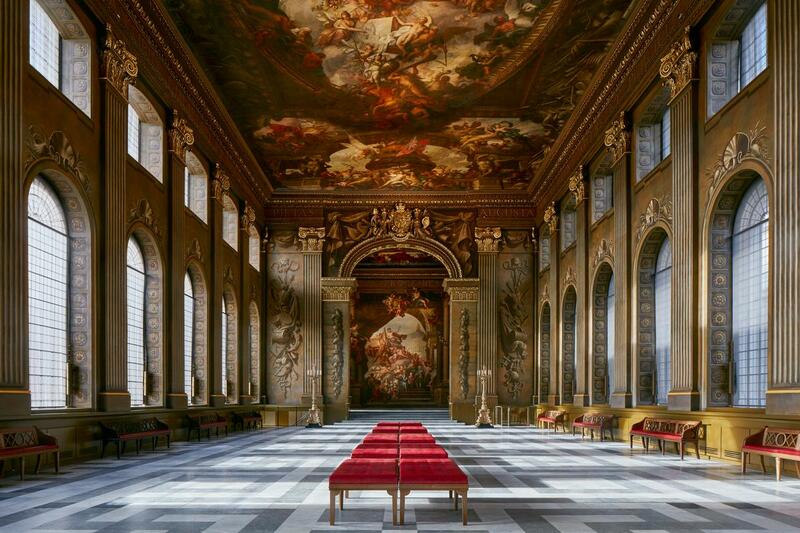 British design practice Hugh Broughton Architects have completed an £8.5m (US$11.2m, €10m) refurbishment of Painted Hall at the Old Royal Naval College in Greenwich. 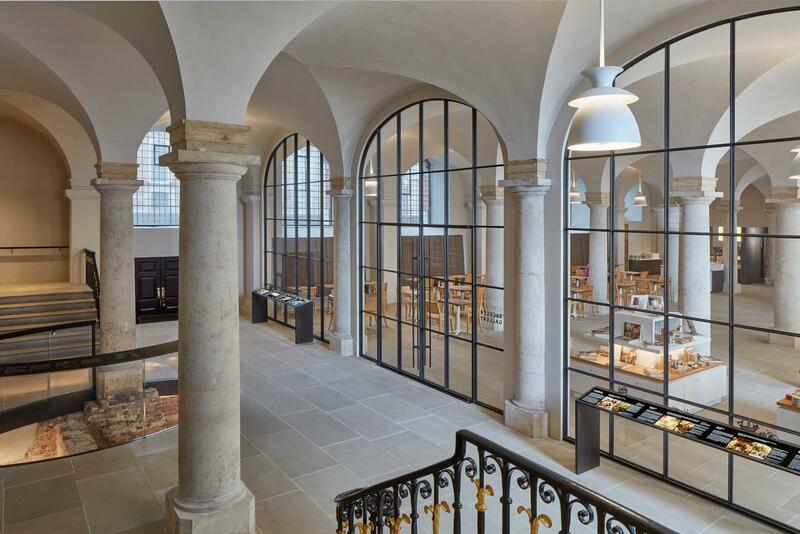 Also known as the English 'Sistine Chapel', the renovated space features a restored Baroque fresco as well an adjoining undercroft that houses a cafe, art gallery, and visitor centre. 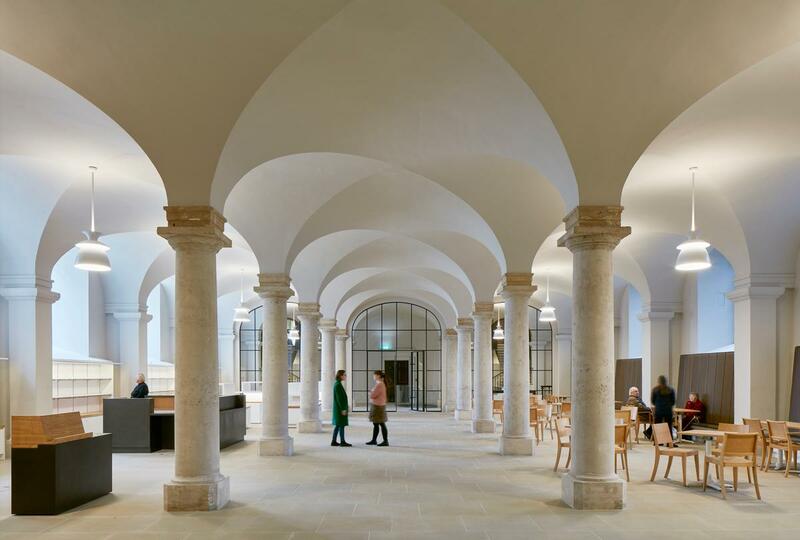 Supported by the National Lottery Heritage Fund, the scheme was reportedly one of the largest open-access renovation projects in Europe and brought together an array of conservators and historians, including Martin Ashley Architects, Stephen Paine, and Sophie Stewart. 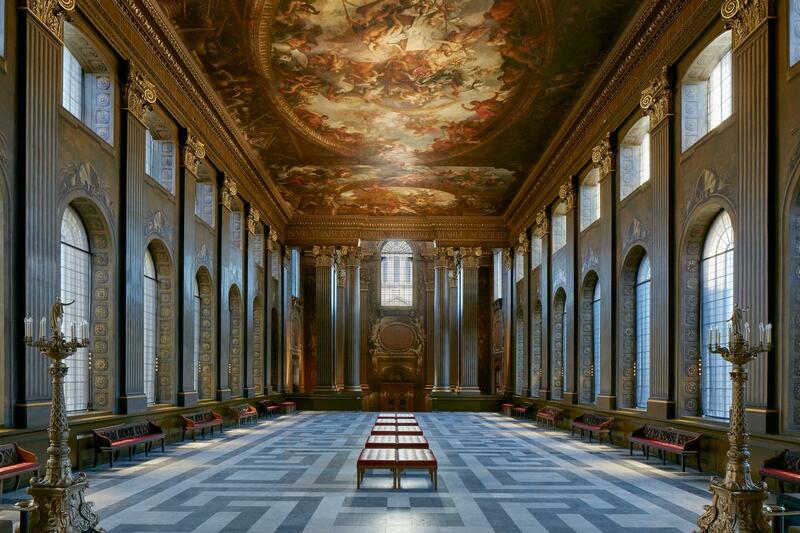 The hall was originally designed as a ceremonial refectory in the 18th century by famed London architect Sir Christopher Wren and painted in trompe-l'œil by Sir James Thornhill, the first British artist to be knighted. The narrative depicted on the ceiling illustrates England's growing dominance as a Protestant nation. King William III, resembling both the monarchy and the navy, tramples on a crouching figure representing France's "Sun King" (Louis XIV), a symbol of the Catholic empire. "It's a clever example of visual propaganda," explained Shane McMurray, a Painted Hall tour guide. 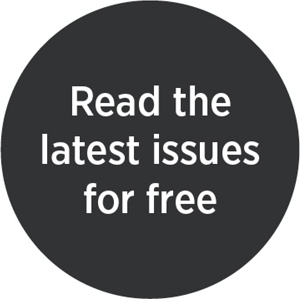 Speaking on the opening, William Palin, Painted Hall project director and conservation director at the Old Royal Naval College, said: "The sheer scale and complexity of the project meant that we were constantly seeking innovative solutions – from the carefully developed conservation techniques to the design of the vast internal scaffolding, which had to be fully accessible for the visiting public. "The transformation of the Undercroft space below has brought one of Britain's great historic spaces back into use, providing a beautiful prelude to the wonder of the Painted Hall above." Open from 10 am to 5 pm daily, the hall is expected to attract over a million visitors each year.